We look back our the event on the role and impact of activism in the shaping of the future of public spaces in South Africa. On the evening of the 100th celebration of Jane Jacobs’ birthday, Future Cape Town in partnership with UDISA hosted the second event in a three part series ‘The Future of Public Space’ with a focus on the role of activism in public spaces. The speakers came from diverse fields and included: Marcela Guerrero Casas – the co-founder and Managing Director of Open Streets Cape Town, Hedwig Crooijmans-Lemmer – an Urban Designer at GAPP Architects and Urban Designers, Marco Morgan an urban planner and the founder of the National Skate Collective and Zimkita Booi – the deputy chair of the Social Justice Coalition and an organiser at Ndifuna Ukwazi. Marcela Guerrero Casas opened the presentations by reflecting on the history of Open Streets Cape Town and their experiences of hosting Open Streets events with the most recent event in Mitchell’s Plain. 1. Each community is unique – Casas explained that every Open Streets event is unique due to the location and and hence the community’s context and needs are different. She highlighted that as a response to this, “people of the area are responsible for their own space and anyone is able to take ownership of the event and host their own activities”. 2. Working with all sectors – The organisation also works in collaboration with the local government, and due to this Casas emphasised that a key part of working in a public space is balancing the needs of all the role players. To this point she noted the challenges they have experienced in trying to balance the freedom of the public in their own streets with the City’s regulations and events requirements to ensure safety and security. 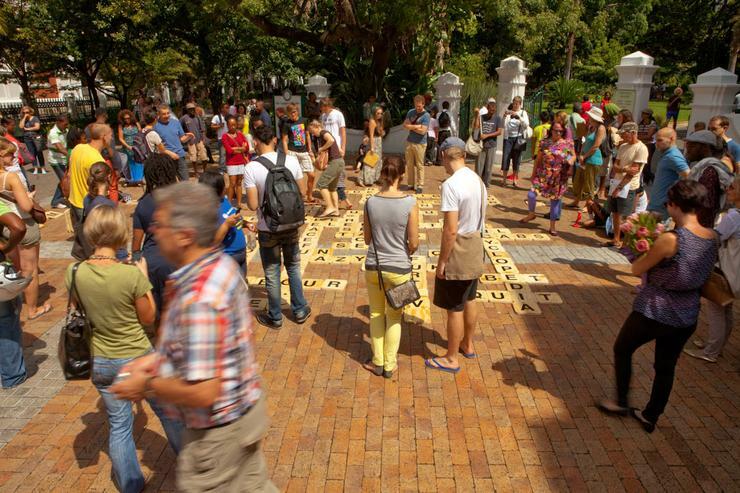 Open Streets Cape Town aims to host more regular and less resource intensive events in every subcouncil of Cape Town, which she says will require more collaboration. For her, the ideal would be if these activities could be hosted every week all over Cape Town. Casas concluded with a video of citizens sharing their experiences of the Mitchells Plain Open Streets. Hedwig Crooijmans shared a story from the Netherlands of how powerful citizen activation and ownership can change the way citizens use public space. Crooijmans shared an example of this from a suburb in Amsterdam in the 1970’s. During a time when car usage was on the rise and streets became unsafe spaces due to speeding vehicles, a small movement of active citizens mobilised masses of people in various protests to advocate for safer streets that children could play in. The protests reached so much attention, to the point that policy makers had no choice but adhere to their requests. Crooijmans shared a short video documenting these protests, showing groups of people actively taking back the streets. This example of urban activism was an important step in creating the Netherlands that we all know today, a country with dedicated bicycle lanes and policies that enforce bicycle parking and usage laws. Crooijmans concluded that all humble beginnings can have a great impact. Marco Morgan shared his experiences as founder of the National Skate Collective advocating for the rights of skateboarders in public spaces. Morgan stated that in order to communicate these ideas and to advocate for the future of skateboarding it is necessary have access to the information and policies that restrict skateboarders from using public spaces other than designated skate parks. The ‘National Skate Collective’ was formed as such a platform – to communicate and share information on current policy and to develop new ideas between different role-players. The collective used diverse methods to advocacy and lobby for changes to policy. These included voluntary activism, taking part in Infecting the City festivals, occupying different public spaces e.g. the foyer of the Western Cape Government buildings and boardroom and task team meetings with officials, to inspire people and to create an opportunity for different voices to be heard, not only in Cape Town but all over the city. Through various collaborative efforts, the ban on skateboarding, cycling and rollerblading on the Sea Point promenade has been lifted since October 2012. Skateboarders in the city can also freely use the parking area at the Sea Point library, the Gardens Skate Park and many more places. Zimkita Booi presented her insights working at Ndifuna uKwazi explaining that even though the constitution makes provision for protests in public spaces, these protests are still regulated by very strict and somewhat bizarre policies. Booi elaborated that public spaces in the city are usually policed and protected by security – during a protest these become spaces of conflict. In 2013 more than 15 activists from the Social Justice Coalition chained themselves to barriers at public square near the Civic Centre. These activists were arrested because according to the constitution, a gathering of more than 15 people requires a formal application. In a response to this regulation, the Social Justice Coalition organised marches in more creative ways. Earlier in 2016 a protest of 200 activists was divided into groups smaller than 15 members each, as a way to comply with the regulations of the constitution. At another occasion, ‘Reclaim the City’ hosted a danceathon as a form of activism in Long Street. However, for these activations to be effective the urban actors need to engage with and even challenge the constitutional processes, legislation and policies that govern our urban areas and public spaces. These stories and experiences from the presenters sparked additional conversation and questions regarding the availability of important information, the definition of public space and possibilities for collaboration with the City and different stakeholders. The event was concluded with the agreement that all citizens should “walk the talk” and be vocal about the future city that we want to achieve.